Royal Canin Pet Food in Canada is utilizing TPG’s Digital Receipt Validation System (DRVS) to reward pet owners with a $10 rebate check. 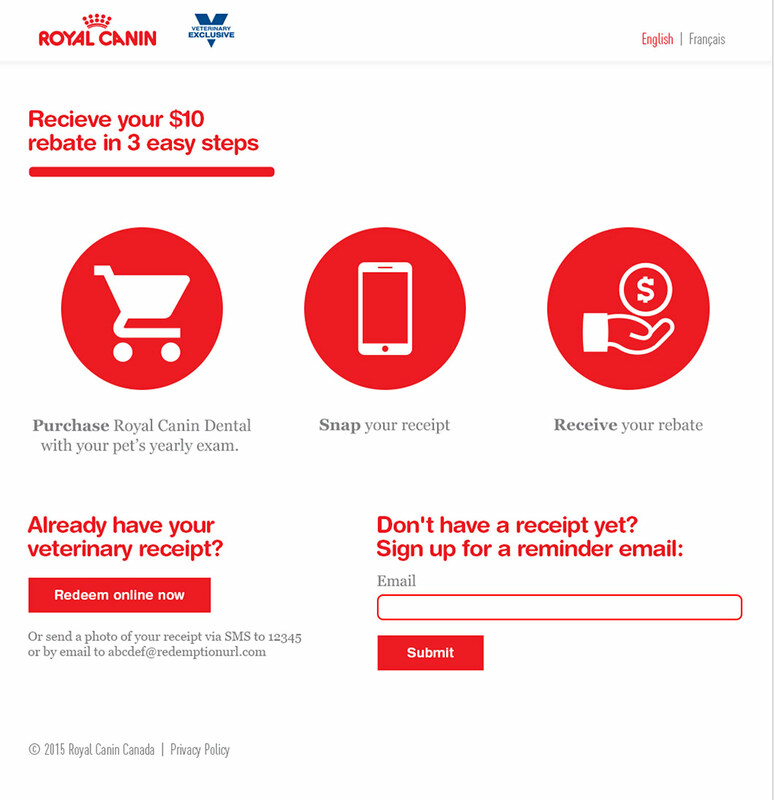 Canadian consumers who take their pet for their yearly physical examination and purchase Royal Canin’s Veterinary Exclusive Dental Formula simply take a picture of their receipt that they text or email to dental@drvs.ca. Qualified consumers receive a $10 rebate cheque.